It seems like Fabrice Moireau has two books out in 2018, the other being Sicily Sketchbook that I featured a few months ago. It's incredible to see two books in a year considering the number of paintings there are in them. 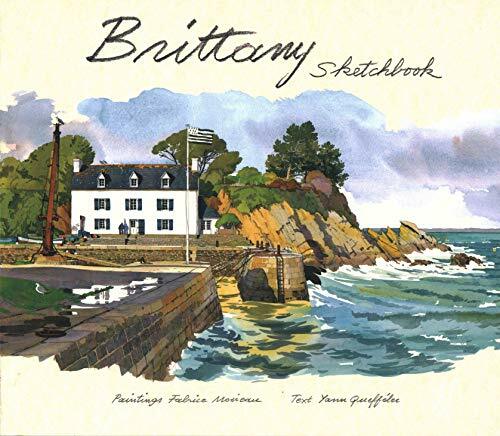 This latest book is on Brittany, a region in the northwest of France, bordered by the English Channel to the north, the Celtic Sea and the Atlantic Ocean to the west, and the Bay of Biscay to the south. According to Wikipedia, it has "some of the world's oldest standing architecture which date to the early 5th millennium BC". That is a lot of history. As with any artbooks by Fabrice Moireau, you can expect detailed and gorgeous watercolour paintings. The beautiful architecture and wind-swept scenery are just lovely. That guy probably has painted over thousands of paintings. Going through his books always makes me want to travel to these places. There's also a lot to write and this time the author is Yann Queffelec. It goes without saying that I highly recommend this book.